At Orbital ATK, we are dedicated to encouraging children to pursue their dreams, explore Science, Technology, Engineering and Mathematics (STEM) careers and realize that they are able to accomplish great things. As a part of our Orbital ATK Gives Back program, the company has made an in-kind donation of at least 500 personal computers to the Utah STEM Action Center and their Computers for Schools initiative, on behalf of its Aerospace Structures Division located in Clearfield, Utah, and its 3,000 Utah-based employees. The donation will directly support local Utah Elementary Schools and the education of students preparing for careers in STEM fields. 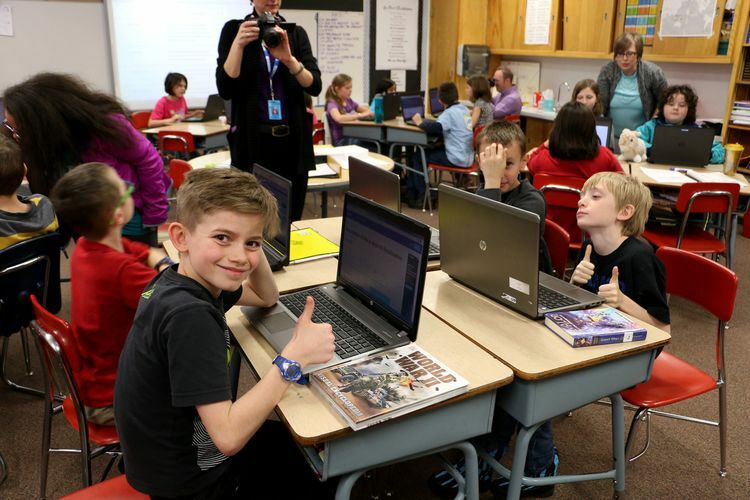 On February 27, the first 20 computers were donated to Horace Mann Elementary in Ogden, Utah. 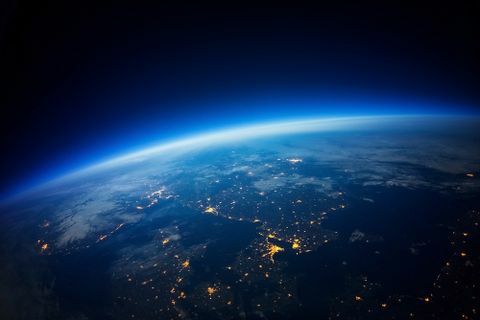 "The Utah STEM Action Center, on behalf of our education partners, cannot say enough about how much we appreciate the support Orbital ATK has provided to students and teachers," said Dr. Tamara Goetz, Executive Director of the Utah STEM Action Center. "Lack of access to computers prevents students from the benefits of online learning programs that can enrich and support their instruction. This donation from Orbital ATK will help us address those gaps in resources for Utah students and teachers." 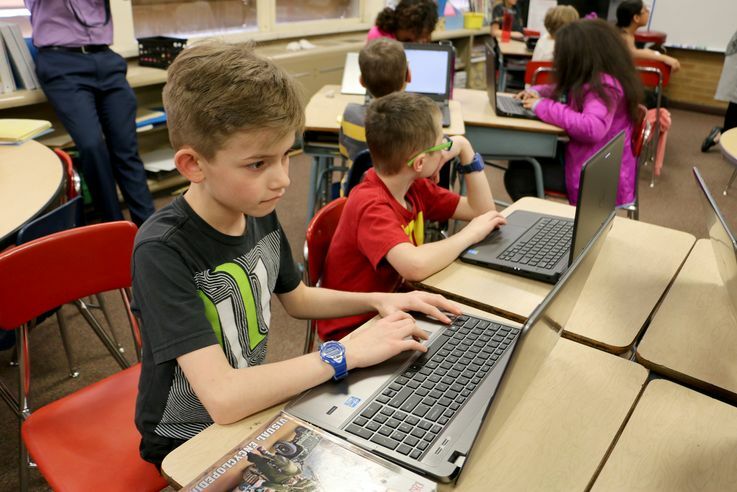 Students from Horace Mann Elementary School in Ogden, Utah, get familiar with their new computers. 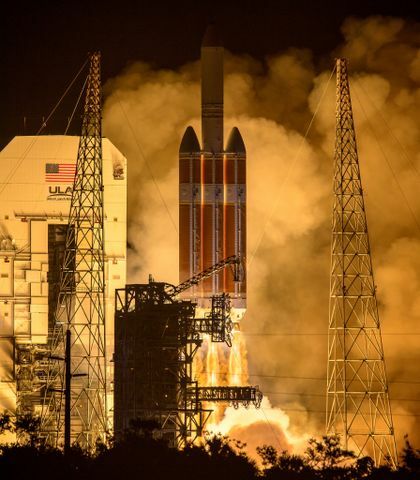 The donation will directly support Utah schools and help prepare students for careers in STEM fields, bolstering the Orbital ATK commitment to the Utah STEM Action Center's initiatives and to STEM education in the state of Utah. "At Orbital ATK, we believe investing in education is an investment in the future of our community and our company," said Steve Earl, Vice President and General Manager of Orbital ATK's Aerospace Structures Division. "Partnering with institutions like the Utah STEM Action Center to advance STEM opportunities in local elementary schools won't just have an impact on how we make composite structures in the future; we believe it will help shape the future of aerospace transportation for our society." The Action Center said Horace Mann Elementary was selected to receive this first round of computer donations because the center had a standing partnership already providing a supplemental math class. Bert Vanderheiden, from the Aerospace Structures Division Leadership Team interacted with the children while presenting computers to the students of Horace Mann Elementary School in Ogden, Utah. STEM education of elementary and middle school students is vital to maintain a vibrant, diverse workforce and to ensure Utah remains secure and prosperous. 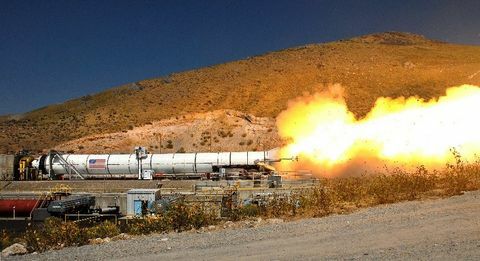 The goal of the Orbital ATK in-kind support is to provide the Utah STEM Action Center with resources to encourage Utah kids to pursue their dreams, explore STEM careers, prepare them to join innovative companies, have rewarding work experiences in almost every sector and see themselves as able to accomplish great things.